Finding out you're pregnant is one of the most exciting times of your life. Discovering that you’re having two babies instead of one can be twice as exciting… and a little scary. Having two babies is wayyyyyyy different than having one at time. (Sorry, I’m not going to lie!) But having twins can be an incredible experience. Allow a little time to let the news sink in before you move ahead. Find out specifics from your doctor about how to care for yourself and your babies. He may request that you take more folic acid or see him more often for routine ultrasounds to ensure both babies are properly developing. Finding out that you’re expecting twins is thrilling, but it comes at a price. There are a few drawbacks including worsened morning sickness and higher risk of preeclampsia and gestational diabetes. Have a heart to heart with your partner about how having two babies at once will change your lives – financially and otherwise. Start saving extra cash now so you’ll have a little “nest egg” once the bundle of babies arrives. You may have to reconsider your plans to stay home with your babies to meet your increased financial needs or look for a career that allows you to work from home. Besides a double stroller which could very well save your life (okay, maybe not your life but at least your sanity! ), fight the urge to buy two of absolutely everything. (Disclaimer: We fully encourage you to buy a few sets of matching baby clothes – too cute!) Aside from that, you may find that you don’t need two high chairs, two cribs, two swings, as your babies’ schedules may differ enough that you can get away with just one set. Adjust your needs accordingly once the twins arrive and grow. Be aware that many moms carrying twins don’t make it to the full term of 40 weeks. 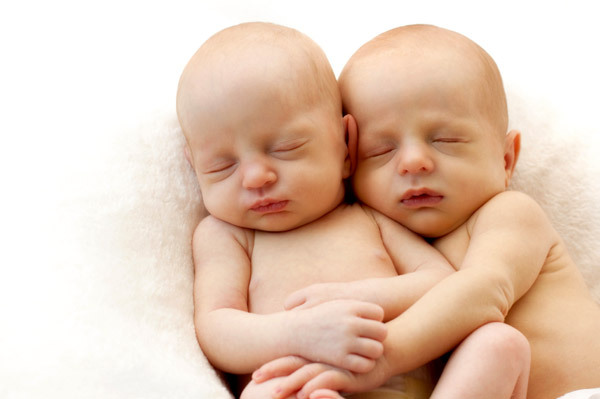 Most moms of twins go into labor around the 36th or 37th week, perhaps even earlier. Cesarean sections are also more common with twin deliveries. This is not always the case, so don’t throw your dreams of a natural delivery out the widow. Speak with your doctor to create a new birth plan. However, be prepared for a back-up plan, in case of emergency.